According to the benchmarking results of a recent HR shared services organization (SSO) survey conducted by APQC and ScottMadden, understanding links between customer satisfaction and performance is seen as one of the most important keys to being a top-performing SSO. 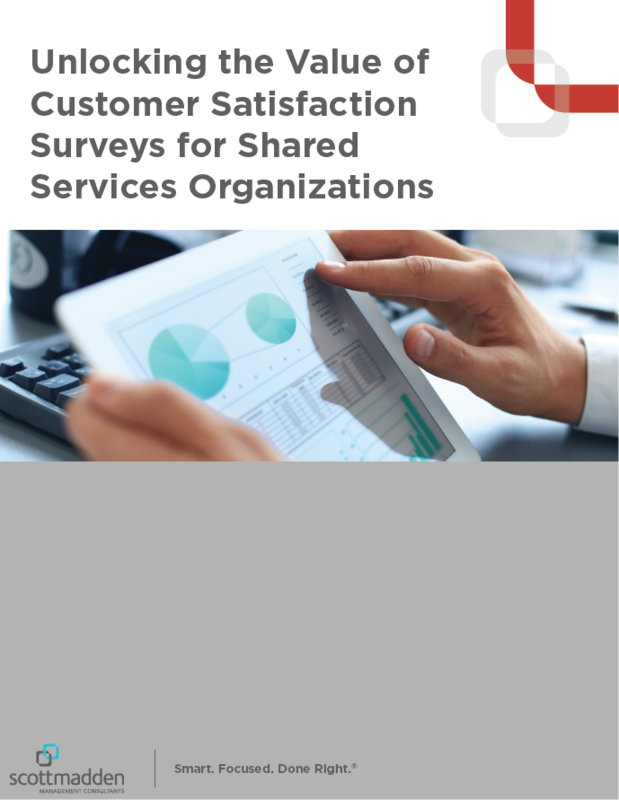 More and more SSOs have designed—and are administering on a regular basis—formal surveys to measure their customer satisfaction levels. ScottMadden has been conducting customer satisfaction surveys for our shared services clients for nearly 20 years and has captured multifunction, multi-year overall satisfaction data for SSOs to provide insight on typical trends in customer satisfaction.